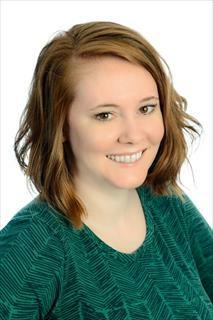 Lindsay Curtis is an Associate Broker with Berkshire Hathaway Pen Fed Realty. Lindsay was born and raised in Ashburn, Virginia and has continued to live in the area, now residing in Herndon. After graduating from Virginia Tech’s Pamplin College of Business with a Marketing degree and a Real Estate minor, she began working at McGrath Real Estate. With her marketing background she began working in the Leasing Department and assisted landlords with marketing their homes with a focus on online listing and advertising techniques. Now a member of the Top Producer Multi-Million Dollar Sales Club of the Northern Virginia Association of Realtors, Lindsay focuses on helping buyers, sellers and investors make smart real estate decisions as part of BHHS Pen Fed Realty. Her top priority is to make your experience as stress free as possible all while maximizing your real estate goals. When not working in real estate, Lindsay likes to spend time with her husband and her two wire fox terriers, Dash and Violet. She enjoys spending time outdoors but is known to binge watch some Netflix, experience new restaurants and breweries in the area and be with her close-knit family.